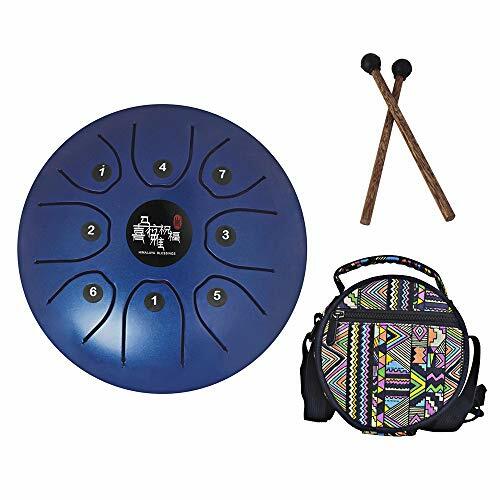 5.5" mini steel tongue drum specially for prenatal education, early childhood education and music enlightenment. Easy to play, you can play it easily with the included drum mallets, then you will have great sounds. Standard C key and 8 tones, allows you to play some simple songs. High-quality alloy steel material, surface painted with pearl finish, exquisite and anti-corrosion. Comes with a drum bags, you can bring the drum with you wherever you go. If you have any questions about this product by Mowind, contact us by completing and submitting the form below. If you are looking for a specif part number, please include it with your message.